FEATURE – Looking for a place to get away this fall, even just for a weekend? With temperatures cooling down, fall is the perfect time to enjoy sublime scenery among red rocks when lower climes are ideal because the weather isn’t scorching. To help out on the decision as to where to go for a quick weekend getaway this fall, below are four less-popular, non-national park areas in Utah, all within five hours of the St. George area that the whole family will enjoy exploring. Both are ideal locations for children, who could spend hours climbing, exploring and learning about the history, geology and nature of these unique locations. Goblin Valley’s plethora of rock “goblins” literally make visitors feel they are on another planet, which is why it was chosen as a filming location for the movie “Galaxy Quest.” Far from civilization, it is also near the spectacular Little Wildhorse Canyon. If one makes a trip to Goblin Valley, Little Wildhorse Canyon should also be on the itinerary. One of Goblin Valley’s advantages, Ranger John Womack said, is that it is a hands-on park. Children especially love the ability to touch the “goblins” and climb on them, he said. There is no established trail in the Valley of Goblins so visitors can wander where they please to get an up-close look and take photos to their heart’s desire. Another popular attraction of Goblin Valley is its campground, Womack said, because it gives campers the feeling that they are camping among the “goblins. The campground also boasts a fantastic view of nearby Wildhorse Butte. Even though it is extremely remote (the closest city is Hanksville, 33 miles away), the park is increasing in popularity, Womack said. Approximately half the visitors he talks to ask about Little Wildhorse Canyon, a spectacular slot canyon only 5 miles away on land managed by the Bureau of Land Management. The trail through Little Wildhorse Canyon is an 8-mile loop trail that includes adjacent Bell Canyon, but Womack said most hikers go up the trail approximately 1.25 miles in to see the most scenic part of the canyon and then return the same way. Goblin Valley is approximately four and a half hours from the St. George area. Simply take northbound I-15 to eastbound I-70. Exit I-70 at Exit 149 and take SR 24 south to the park’s entrance. 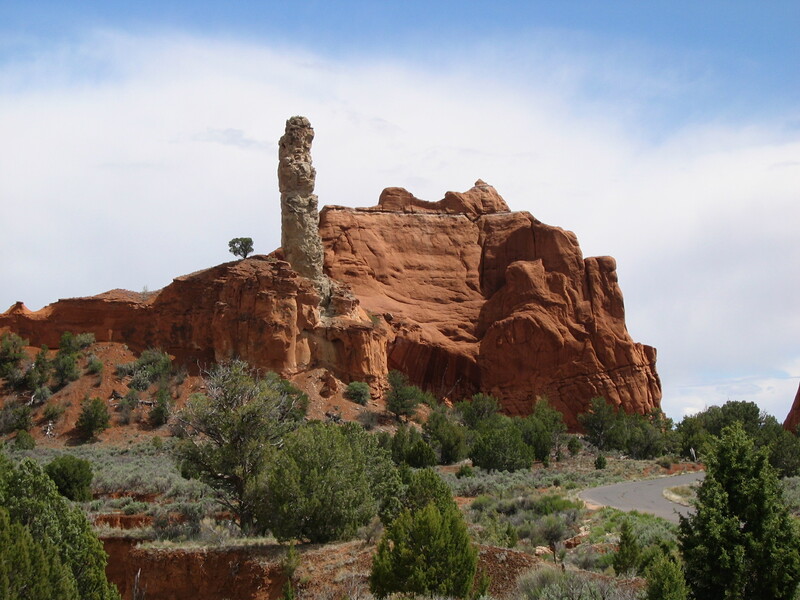 Named by the National Geographic Society in 1948 after a popular color film, Kodachrome Basin is a showcase of 67 stone spires known as sedimentary pipes ranging in height from 6 feet to 70 feet. The park also reveals 180 million years of geologic time in its layers of pink, red, white, yellow and brown sandstone. One of the park’s best qualities is its “quiet solitude” which gives visitors the feeling that they are enjoying the park’s scenic beauty by themselves, Wikan said. The park features six hiking trails (spanning a total distance of 12 miles) which weave through its many standing rocks and outcroppings for more intimate views. None of the trails is over 2 miles long, making it an ideal place for younger children. The park is also home to one arch, Shakespeare Arch, which is not named for the Bard of Avon but for the park ranger who discovered the arch in 1976 while searching for a coyote den. There are two campgrounds within the park with 45 total campsites, some of them with full hookups. Its concessionaire, Kodachrome Trail Rides, also offers breathtaking backcountry trail rides on horseback, Wikan said. Kodachrome Basin is due east of Bryce Canyon National Park and surrounded by Grand Staircase-Escalante National Monument. It is 7 miles south of Cannonville off SR 12, a famous Scenic Byway. There is more to do in the Lake Powell area than just water recreation on the gigantic reservoir. One of the most popular attractions in the area is Antelope Canyon, an unparalleled slot canyon on the Navajo Reservation. Visitors can only view the upper canyon by tour reservation, and must plan in advance to do so, Renee Lane, visitor information specialist at the Powell Museum and Visitor Center, said. One does not need reservations to explore the lower canyon and Lane said visitors can take that portion of the canyon at a slower pace. The fee to explore the lower canyon is $28 per person on a first-come, first-served basis. 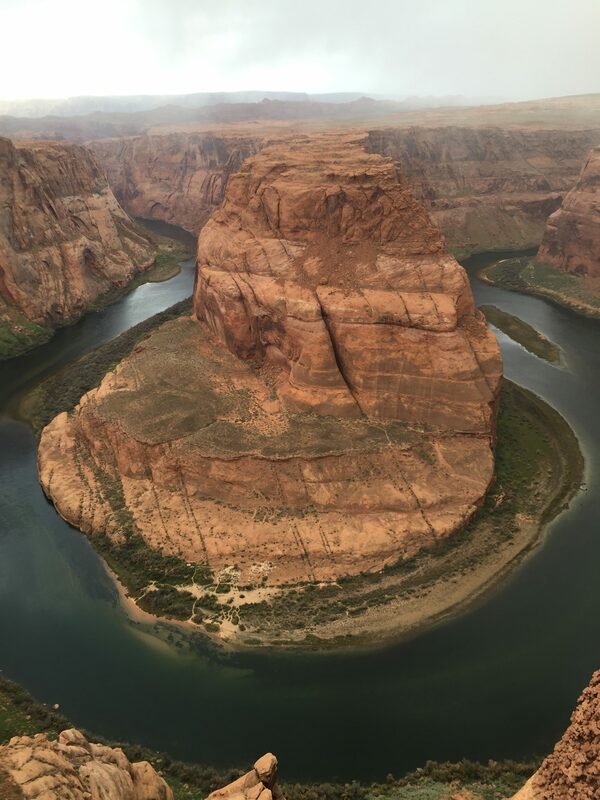 Another popular destination for tourists in the Page area is Horseshoe Bend, a stunning vista of the Colorado River just 5 miles south of town. Additionally visitors can explore the Powell Museum, which displays artifacts and tells the story of John Wesley Powell’s early explorations. It also presents the story of the region’s prehistory, geology and Native Americans, she said. The museum also includes rotating displays of local artists’ work. Just up the road near Big Water, visitors can find a few sets of hoodoos that are different than the hoodoos they’ll see in the world’s hoodoo mecca, Bryce Canyon National Park. One set of hoodoos, known as the Toadstools, located approximately 12 miles West of Big Water and 1.5 miles east of the Paria Contact Station, look like giant mushrooms and are found on a leisurely 1.5-mile hike. 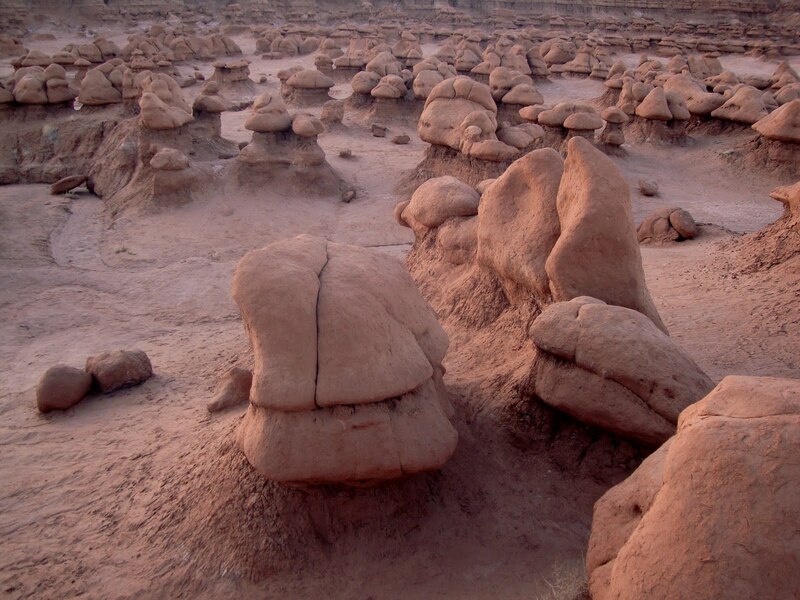 The unique mushroom-like hoodoos formed when softer rock on bottom eroded away leaving a harder, bigger rock on top. The other set of hoodoos, known as the Wahweap Hoodoos, are a little more difficult to get to and require a four-wheel drive, high-clearance vehicle if one wants to shorten the hike. The hike is 4.6 miles without a four-wheel drive vehicle and 3.8 miles with one. Also in the area is the Paria Canyon-Vermillion Cliffs Wilderness, home to famous backcountry hikes such as The Wave and Buckskin Gulch. However, those hikes take preplanning as hikers must have a permit, usually obtained by a lottery. Located east of Kanab on U.S. Highway 89, Big Water (57 miles) and Page (71 miles) are within 2.5 hours drive of the St. George area. For more information, visit the Page-Lake Powell Tourism website. Located within 20 minutes of one another, Cove Fort and Fremont Indian State Park offer an excellent opportunity to learn about Utah’s history, both from the perspective of its early human inhabitants and some of its early European-American settlers. Built in the late 1860s as a protection against Indian raids, Cove Fort was an important way station for settlers called upon to establish communities farther south. Purchased and restored by The Church of Jesus Christ of Latter-day Saints in the early 1990s to its mid-1870s appearance, the fort features period furniture and household implements, among other artifacts. The site includes the fort as well as a reconstructed barn, corral, ice house, blacksmith shop, and bunkhouse. Admission to the fort is free and senior LDS missionaries are happy to give visitors a tour and answer any questions. What makes Fremont Indian State Park unique is it is home to one of the largest excavated Fremont Indian villages, all thanks to the construction of Interstate 70 in the early 1980s, Park Manager Kevin Taylor said. 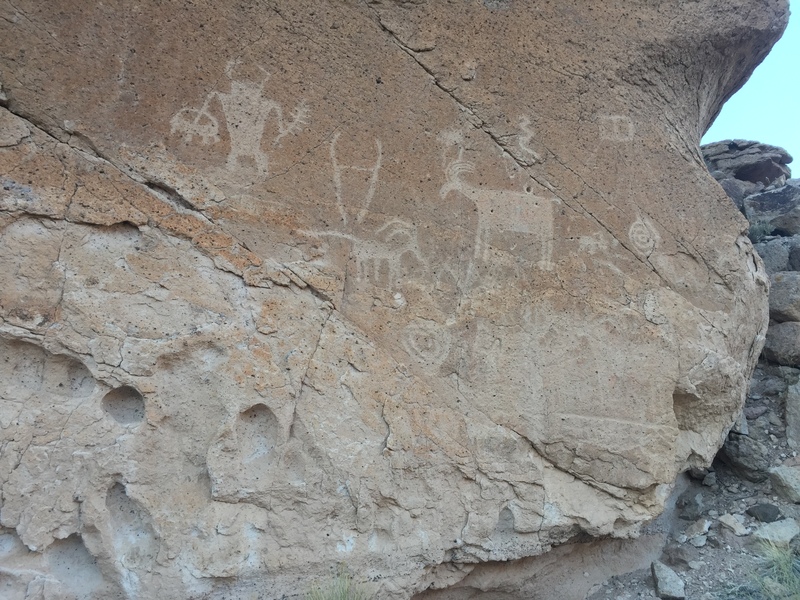 The park also features hiking trails to rock art panels and access to the Paiute ATV Trail. The roads in the park all offer all-terrain vehicle access. The park’s museum features a kids zone with hands-on activities including looking through a microscope, trying on Native American clothing, and playing in a replica of a Fremont Indian pit house. On the grounds, Taylor said, visitors can try their hand at an atlatl, a Native American “spear mechanism” and explore a replica pit house. Another unique thing about Fremont Indian state park is its one-of-a-kind accommodations. Guests can sleep in a tepee at the park’s campground for $30 a night, Taylor said. Located approximately two hours up Interstate 15 from St. George, the two locations can make for an easy day trip or an overnighter.